Nora is almost 11 months old and she is finally finished breastfeeding. She is totally on cow’s milk now (and a little bit of frozen breast milk) and she eats more “real” food than her brothers do at most meals so I know she is getting the nutrition she needs. The weaning process has been much harder and emotionally taxing for me than I ever imagined it would be. I planned on breastfeeding Nora for an entire year but there were several pressing factors that meant she needed to be done breastfeeding a month and a half earlier than I had anticipated. I was not expecting the rush of emotions that came with this transition. Depression, anxiety, extreme guilt, feelings of inadequacy as a mother, insomnia, hopelessness…it was insane. When I weaned the boys around 11-12 months I felt a little bit sad, but was mostly glad to be done and I felt totally ready for the next stage. 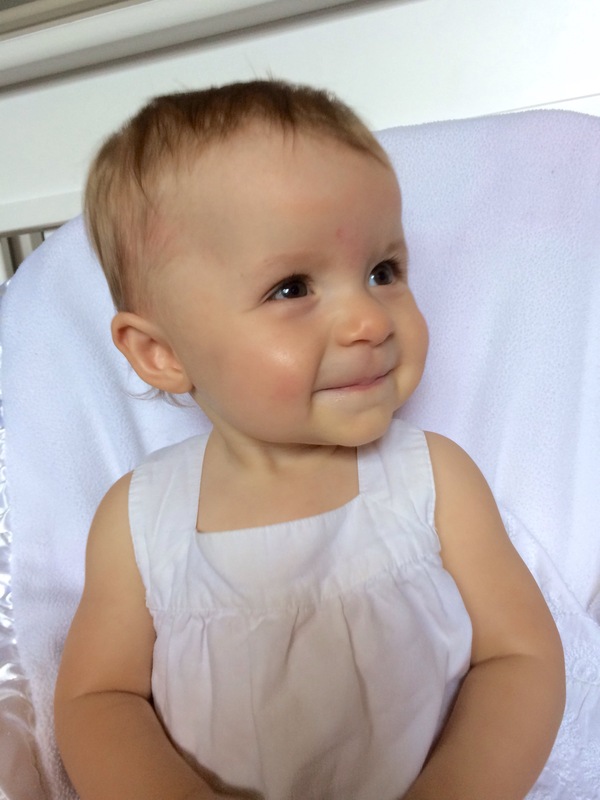 Weaning my rainbow baby turned out to be a very different experience. When Lucy died and was stillborn I was only halfway through my pregnancy so no one warned me that my milk would come in afterwards. It did in full force. I was engorged and leaking milk and had no baby to nurse. It was traumatic to say the least. It scarred me permanently. In the days and weeks following Lucy’s death I begged God to let me breastfeed a baby one day, even though it felt impossible. I would wake up throughout the night in despair with the sense that I should be getting up to nurse my newborn daughter. Instead of nursing Lucy, I woke up to aching breasts and empty arms. If I dared let myself imagine breastfeeding a future baby of mine, I would immediately break into tears of joy at the thought. This is one reason why it was so important for me to be able to breastfeed baby Scarlet when we were planning to adopt her. When I was finally able to breastfeed my beautiful rainbow baby Nora in the NICU, it was everything I had imagined. She was alive and breathing and so perfect. She latched right on and was a pro from the start. I could not believe that God had given me this desire of my heart, to breastfeed my very own living daughter. Breastfeeding Nora has been a huge part of God’s promise to redeem my losses and it has been an essential piece to my healing puzzle. During the two agonizing years between losing Lucy and having Nora, I fantasized about having a living baby and nursing her and holding her on my chest and feeling her tiny body rise and fall with each breath. I pictured so many scenarios…Josh holding our miracle baby and the boys meeting her and all the healing that would take place. But for some reason, I never pictured her growing up and leaving me. Weaning my rainbow baby made me realize that she won’t always be my rainbow BABY. She will grow up and mature just like she should, and she will not always be a little baby. One day Nora will be a grown woman and she will leave to go live somewhere else. I won’t be holding her in my arms forever. That was a difficult realization for me. As I was working through the weaning process with Nora I almost gave up at one point because of my intense feelings of loss and depression. I realized, though, that if I continued to breastfeed Nora just because I needed her to complete me emotionally or because I was too sad to let her grow into a toddler, then I would be doing it for the wrong reasons. She was ready to be done, she had a mouth full of teeth, was eating complete meals at the table and was biting me and feeling frustrated that the milk wasn’t letting down immediately like the bottle did. I knew it was time to move on but it was just hard. It went so FAST. How is she not a tiny baby anymore? I savored every moment, even the hard ones, but it still went by so incredibly fast. Nora has reminded me that life is full of changes, constant changes. We get older, jobs change, friends move away and children grow up. My mom told me when her five children were growing up and she was tempted to mourn the fleeting babyhoods and the toddlers turning into big kids, it helped her to remember that it is supposed to be that way. Babies are not meant to be babies forever. She asked herself how she would have felt if she had been stuck at age four forever. Of course she is glad she was able to grow up into a happy adult and become who she was meant to become and we should be thankful that our kids get to as well. I finally found peace when I remembered that God is solid and unchanging. He is our constant. He is the same yesterday, today and tomorrow and His steadfast love never ends. His faithfulness and goodness are forever. I can plant my feet firmly on Him and know for sure that He will not change or be moved. He is my satisfaction, my confidence and my fulfillment, and only HE can be those things. Yes, one day my kids will grow up and leave me and I can be a mom without any kids at home and still be perfectly complete and satisfied with my life. Rainbow babies grow up but that doesn’t mean their light and brilliance fade. If anything it shows that they are ALIVE and thriving and it lets the radiance of who they truly are shine forth even brighter.